Look and see how you can put these concepts into practice to make learning recognition easier and more practical for your employees. Now, read Laubry’s well-written definitions of personalization and individualization as they relate to learning and training. Personalized recommendations: Know the most in-demand skills available to you based on your experience. You check off those areas you are most interested in and like most preference-indicating systems (think Amazon, Netflix, etc.) the learning system presents a list of courses they think would interest you. On your schedule: This is the individualization focus coming alive. You can access on-demand courses from your computer or mobile-device––anytime, anywhere. The main concern is how much time will organizations permit employees to take out of their regular work time and demands to go online to take the programs. Learning resources: Practice with quizzes, exercise files and coding windows. This allows you to practice and monitor your own learning and hopefully apply what you need to know when you need to use the skill or knowledge in real time. You need to create an opportunity for employees to design their own learning path. We typically see a learning path as a sequence of courses that a learner can take in order to master a topic in incremental steps. They consider this approach most effective when a learner has to absorb a lot of information on a specific topic. A learning management system or online learning services like LinkedIn Learning can easily set this up for employees to follow. However, not everyone learns the same way or has the same time available to devote to these learning delivery systems. That’s when we need to create learning options across various learning styles and preferences. For example, some employees like to read things they want to learn about. Provide access to a company library where employees can sign out books on essential topics. Negotiate with an author to provide access to a specific number of eBook versions of their book. Create various length articles on a corporate recognition resource page on your intranet––1 minute for the quick reads, 3 minutes for those with more time, and full-length articles for those who want to go deeper. Over 80 percent of today‘s marketing has moved from text-based content to video. Many of the eLearning programs today have video or visually interactive learning modules. For most of the visual learners in the workplace, consider creating recognition tips and how-to videos using your senior leaders and exemplary managers as the teachers. Record screen capture videos of how to write and submit an award nomination or how to use your social recognition program with more meaningful recognition comments. There has been an upsurge with podcasts and audiobooks of late. It seems people like to take advantage of their commute time listening to content besides reading. This is especially so when employees drive to work or use public transportation. 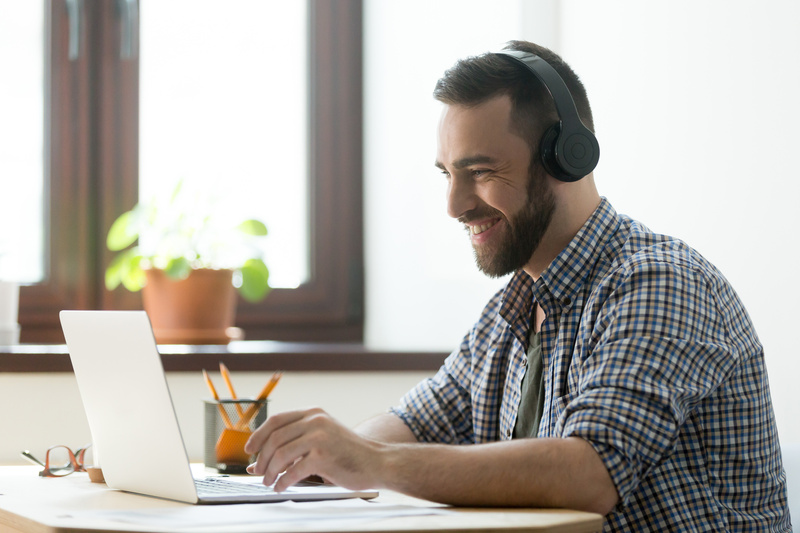 Invite employees to take advantage of this time to listen to recognition, positive psychology, leadership, or other career development related podcasts. In the meantime, you can listen to past issues of Real Recognition Radio shows we made right here. Some of your employees will be hands on, in the trenches, kind of learners. They want to practice the behaviors and actions they need to give better recognition. Give these folk practical tools, recognition guides and job aids, checklists, forms and templates for them to fill in and apply recognition on the job. Remember reading those choose your own adventure books or your children did, or still do? The same idea can apply to your employees with their learning path for improving their recognition skills. Have them choose the learning style they prefer. Sit down with them and ask how they would like to get better at giving recognition to their peers and others in the organization. Find out their learning style–visual, auditory, or kinesthetic–and drill down on setting goals on how they will learn and when they will learn. Visual > 1 or 3 minute reads > once a week, probably on Tuesday mornings if no meetings scheduled. Auditory > read an audio book on positive psychology > listen in the car when driving to work each morning 5 days a week. Kinesthetic > Download one of the available checklists > fill it in or complete it and try it out on the day they download it. The key is making your employees accountable for learning about recognition by giving them the responsibility and the choice in how they will learn. Recognition Reflection: How do you make employees responsible for learning to give better recognition rather than taking it all on yourself?